And a walking pace seems appropriate in this rural corner of NC, full of country churches and steeped in history. This isn't a place that time has passed by and left unchanged, but it's a place where it's easy to be patient, where walking a country road doesn't feel old fashioned. It feels like a land where past and present coexist in a comfortable relationship. 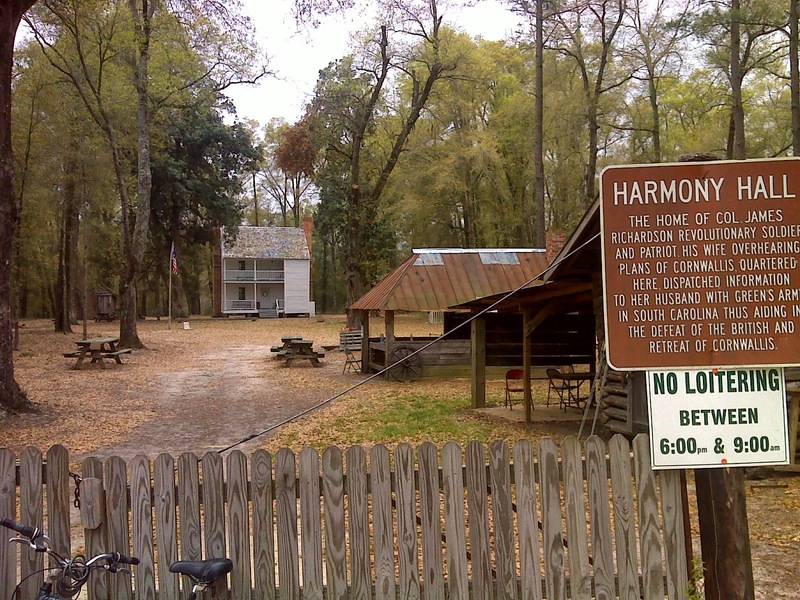 At the southeastern apex of the Mountains-to-Sea Trail's Cape Fear Arch route is Harmony Hall plantation--one of the oldest surviving residences in North Carolina, built before the Revolutionary War by Col. James Richardson, who distinguished himself in the French and Indian Wars, was shipwrecked and fell in love with this corner of Bladen County while he laid up for repairs. He was granted a tract here by King George III, built his home, and settled in. The home may have played a role in the Revolutionary war, and is now rumored to be haunted by the ghosts of soldiers from that conflict. The house is only open to the public for a few hours on weekends, so I didn't have the chance to take the tour, but I did loiter for a bit. 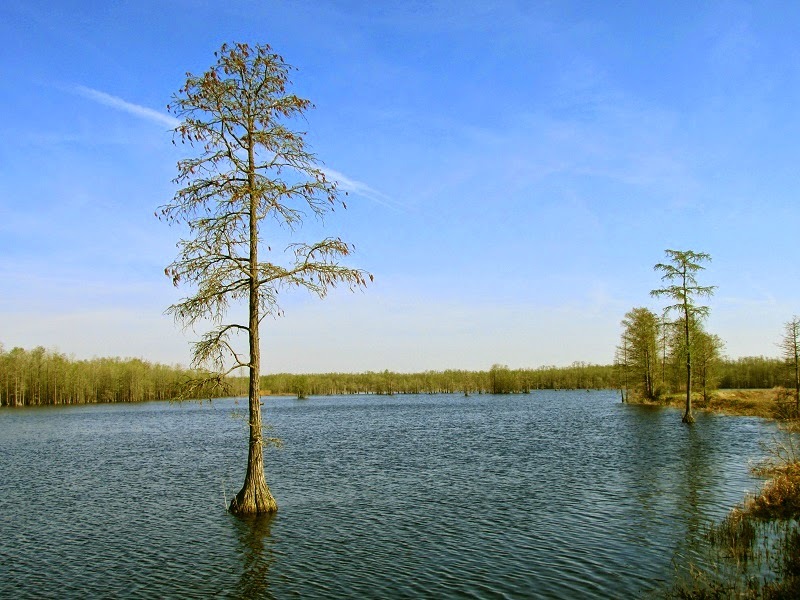 The next venue that the MST took me through was the Suggs Mill Pond State Game Land, centered on Horseshoe Lake where the photo up top was taken. This Game Land focuses especially on waterfowl, and has an significant network of trails. It's one of the more intensively managed game lands that I've visited. 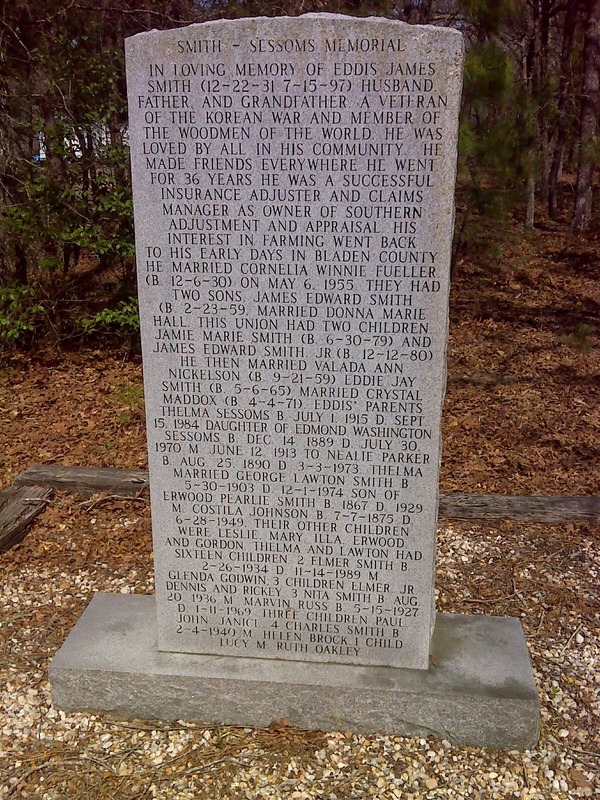 The MST continues its northward trek toward Raleigh, passing this unusual monument, packed on front and back with genealogy information preserved for the ages. 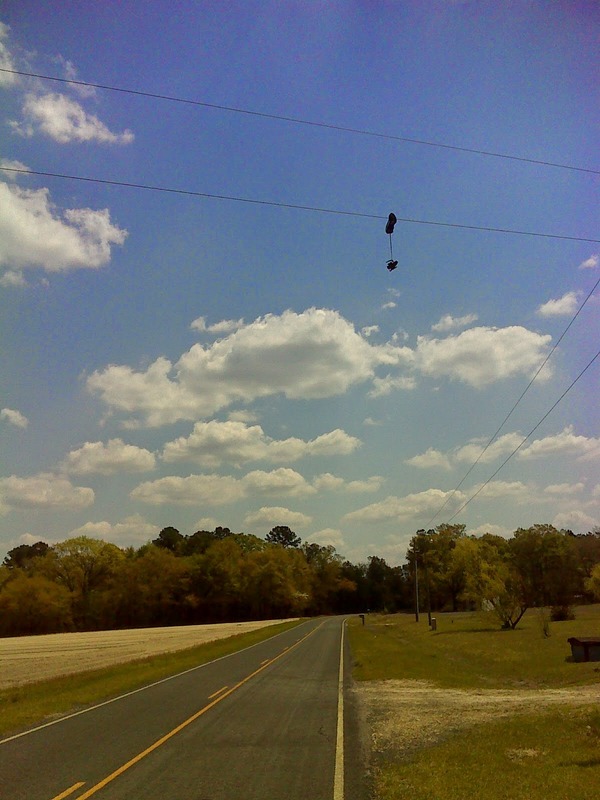 I passed a quirky little sight that caught my fancy--suspended from a wire over the road was a shoe and a fishing reel, tied together by the shoe lace. 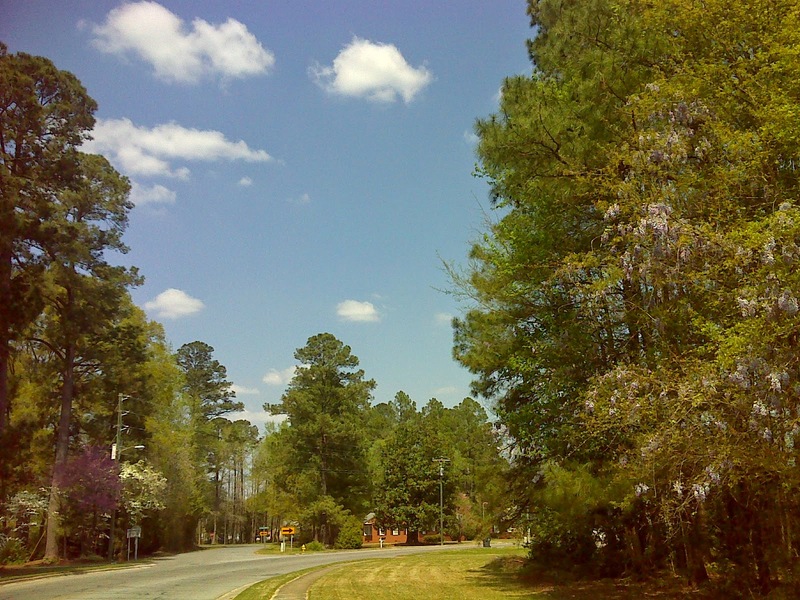 Finally the MST gives the hiker a wonderful taste of small town America as it passes through the 'neat-as-a-pin' little railroad town of Roseboro. I was there during the height of spring bloom--wisteria, dogwood, and azaleas in full force, and redbud not quite finished yet. 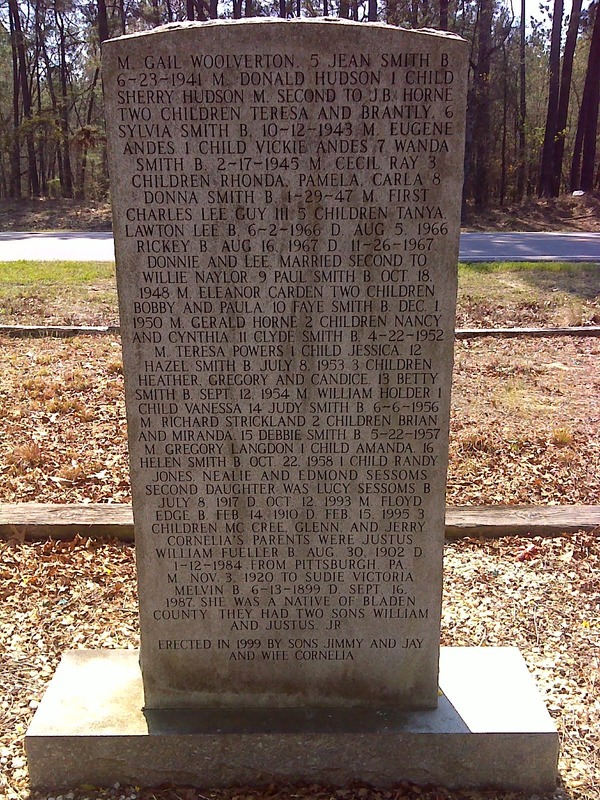 I have more of Roseboro to walk through, so stay tuned.